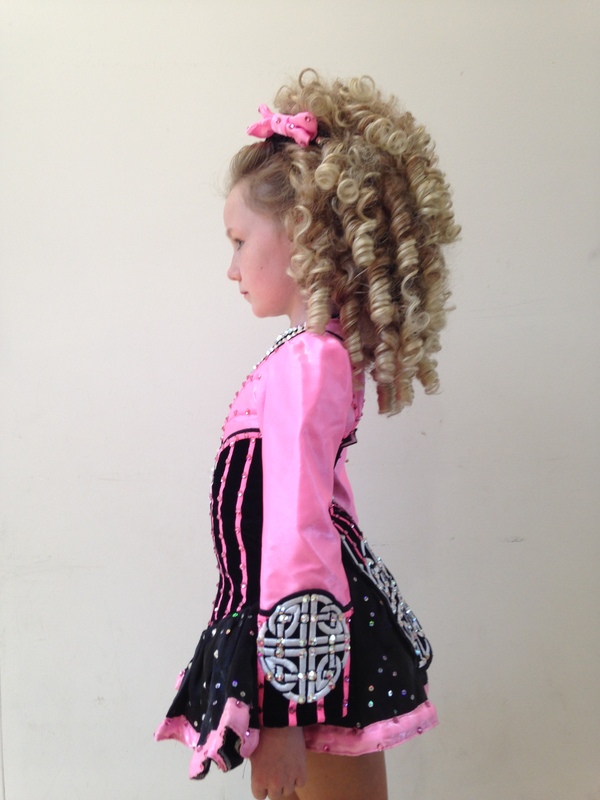 Reluctantly I am selling my daughters stunning solo costume. 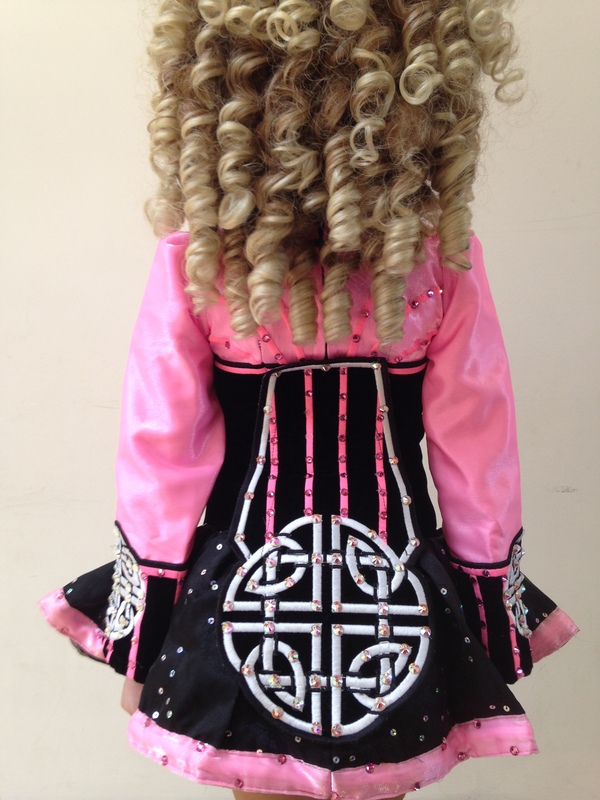 Custom made by Taylors of Belfast and lined with hundreds of crystals the intricate embroidered Celtic centre piece is accentuated by a black velvet/silk skirt and baby pink silk bodice and shoulders. 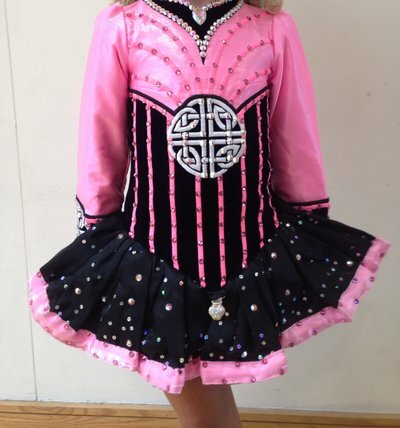 Its vibrant colours are eye catching especially when on stage – my daughter achieved 3rd in the reel in the 2014 World Championships (Comhdhail) while wearing this dress. 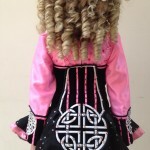 Dress comes with Celtic embroidered cape, kick pants and hair band – all of which are lined with crystals. 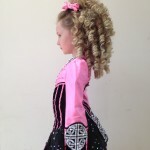 Really hate to see this go as it’s a masterpiece but she has taken a growth spurt and it’s now too small. The dress is spotless and comes from a smoke free home. Asking Price: £580.00. Shipping costs are included for my own country, overseas shipping is extra.